Imagine walking into your office and smelling the scent of damp cartons. The moment you step in, you feel as if you want to walk out immediately. Everything is cluttered and even the coffee that was spilt yesterday has not been cleaned. This can create an unhealthy atmosphere in the workplace. It will also hamper the productivity at work because the employees will not be mentally happy. They will always have to compromise on the quality of work because they are not getting a clean work environment. While it seems like an unnecessary expense at first, hiring a professional to clean your office proves to be a worthwhile investment. An office may have piles of clutter due to lack of space, but there’s no excuse for leaving dirty carpets. If the carpets are old and their colours have faded because they haven’t been cleaned for years, it will create a negative impression on prospective clients. Cleaning the carpets in your office should be a top priority. Companies like Carpet Bright UK ensures that your carpets always look like new without having to hire any of your employees to do the dirty work. This is one of the easiest ways to attract more customers to your business. The easiest way to improve productivity at work is by keeping the employees happy. The easiest way to keep the employees happy is by giving them a cleaner cubicle to work in. If the work environment is not clean, employees will feel as if they are being dragged to the office against their will. If the cubicles haven’t been cleaned or if they have a lot of clutter, you should make sure that they are organized as soon as possible. Installing drawers or keeping the dustbins and tables clean can be the first step to a cleaner workplace and happier employees. A clean workplace, a sweet fragrance in the office, and the bright colours of the walls will definitely improve the productivity at work. When employees walk into the office, they should feel a welcoming vibe instead of giving them an impression that they have to work tirelessly for another eight hours. You should consider getting the walls repainted if the office walls are already showing their age. Also, the windows need to be opened to let fresh air come in. 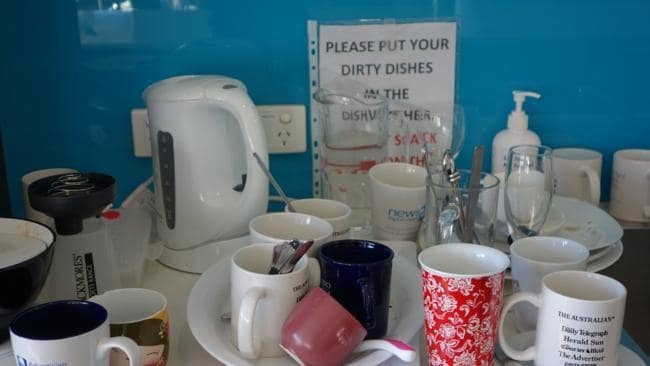 Keeping the workplace clean is a responsibility that everyone has to share. But as a manager or owner of the firm, you should take the initiative to maintain the cleanliness of your office. Happier employees will always stick by your side if they like the office they’re working in. So, it is vital that you take the first step toward getting the office cleaned because when employees are happy, they’ll be more motivated to put their best foot forward, which only means good things for your bottom line. The cleanliness of your office can also have a huge impact on how potential customers view your business, and you wouldn’t want to turn them off just because of dirty carpets and furniture.